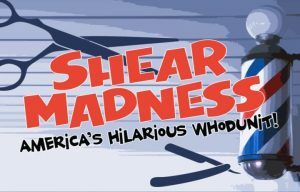 Shear Madness by Paul Pörtner runs Fridays, Saturdays and Sundays through October 28 at the Westwego Performing Arts Center. It’s a day like any other at the Shear Madness salon, when suddenly, the lady upstairs gets knocked off. WHOdunit? Join the fun as the audience matches wits with the suspects to catch the killer at this wildly popular comedy that has audiences laughing around the world. The Longest Running Non-Musical in U.S. Theatre History! For more tickets click here! Broadway’s timeless classic musical Peter Pan (October 19 – 28, 2018) whisks you away to a place where dreams are born and no one ever grows up! Peter and his mischievous fairy sidekick, Tinkerbell, visit the nursery of the Darling children late one night and, with a sprinkle of pixie dust, begin a magical journey across the stars that none of them will forget. In the adventure of a lifetime, the travelers come face to face with a fierce Indiantribe, a band of bungling pirates and, of course, the villainous Captain Hook! For tickets click here! 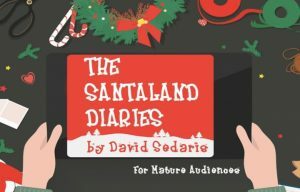 The Santaland Diaries directed by A.J. Allegra and starring Alex Wallace will run November 30 through December 23. When a down-on-his luck wannabe actor arrives in New York City at the end of the year, the only employment he can find is at Macy’s department store – working in Santaland for the holiday season, as a reluctant, but relentlessly cheerful elf. Newly christened “Crumpet”, our clever anti-hero shares his observations of the mayhem in front of and behind the scenes during one chaotic December, from aggressive parents and drunken Santas, to flirtatious actors, poor hygiene, and the racially charged hazards of being a “Pointer Elf”. Will Crumpet find a moment of pure Christmas Spirit? *For Mature Audiences* For tickets click here! 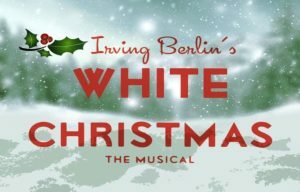 Irving Berlin’s musical White Christmas will run from December 7 through 16. Veterans Bob Wallace and Phil Davis have a successful song-and-dance act after World War II. With romance in mind, the two follow a duo of beautiful singing sisters en route to their Christmas show at a Vermont lodge, which just happens to be owned by Bob and Phil’s former army commander. The dazzling score features well known standards including Blue Skies, I Love A Piano, How Deep Is the Ocean and the perennial favorite, White Christmas. An uplifting musical great for the Holiday Season! For tickets click here! Home for the Holidays (December 14 – 16) is an ensemble based show. The cast will perform in small and large groups, with the occasional feature performance. Join us as we “Deck the Halls” during this toe-tapping, feel good Holiday celebration! A JPAS Theatre Kids! Production. For tickets click here!